Some guys just don't know when they're beaten. Some guys can't see the writing on the wall and insist on going down fighting. Reason would demand they concede defeat, but some guys see keeping faith with their fellows as the more honorable choice. And sometimes their stubbornness is rewarded with unexpected victory. I'm thinking of two very different events. One took place over sixty years ago near the Belgian town of Bastogne. The other one is taking place today right here in Delaware. Bastogne was at the center of one of the most significant battles of World War II. The 101st Airborne Division under the command of Brigadier General Anthony McAuliffe was surrounded by German forces who offered terms of surrender. But McAuliffe didn't know he was beaten and responded in a truly American fashion. His response became as famous as the battle itself. The Delaware event is a much more subtle example of a similar stubbornness. No one will be making a movie of this story, and the significance to history is tiny by comparison. But the spirit of resistance, and the sense of honor and keeping faith with one's comrades still shines through. The latest polling numbers I've seen in the Delaware House race show John Carney ahead by 9% over Glen Urquhart. The Monmouth University poll of 790 likely voters is a couple of weeks old, so things may have changed since then. But if the numbers are to be believed, Carney is favored by 53% of the voters to Urquhart's 44%, with only 3% of likely voters left who are undecided or committed to a third candidate. So why have supporters of Glen Urquhart been contacting Libertarian candidate Brent Wangen to ask him to abandon his campaign for the House of Representatives and support Urquhart? Even if Brent were to yield to this pressure, which is not likely, what makes Republicans think Brent could deliver the entire 3%. And even if he could, that three percent would not come close to narrowing the gap. Plus, there are two other alternative party candidates in the race besides Brent. Up until now, both major parties have been ignoring the smaller challengers and pretending they don't even exist. Debate venues up and down the state have refused access to the smaller party candidates, and Urquhart has gone out of his way to make certain the name Wangen never passes his lips in public. Now they come with hat in hand hoping for a favor? I'm sorry, but this is pathetic. 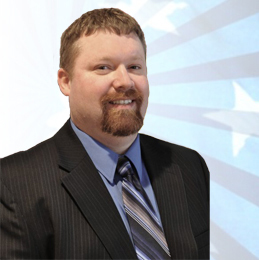 Brent has run a principled campaign founded on the platform that The Constitution is the Solution. There is no way we will ever know what kind of results the Libertarian Party might have been able to achieve had they enjoyed equal access to debates and an opportunity to get their message out. To my mind, Brent is the real star in this election cycle, even if the polls don't reflect that. Could the Urquhart campaign be looking for a scapegoat if they lose the November election? This would not surprise me. Libertarians are constantly being accused of being spoilers. If Brent gets 5% of the vote and Urquhart loses by 4% or 5 % we will hear no end to the accusations that Brent was responsible for the loss. Republicans will be whining about Brent stealing their margin of victory. As if the votes ever belonged to them in the first place. What an arrogant sense of entitlement that would be. How about if I complain that Glen Urquhart stole Brent's 45% margin of victory? As if Brent has some entitlement to those votes. Sounds pretty ridiculous doesn't it? No one is entitled to anyone's votes. You have to earn them. If you don't earn enough votes, you lose. It's as simple as that. Personally, I think there has never been a year when bucking the trend and voting one's conscience was easier than this year. John Quincy Adams said, "Always vote for principle though you may vote alone, and you may cherish the sweetest reflection that your vote is never lost." I have never in my life cast a more satisfying or more principled vote than the one I am about to cast for Brent Wangen for the U.S. House of Representatives. Win or lose, I will cherish the sweetest reflection of this opportunity to make the principled choice. An election is not a lottery. The goal is not simply to pick the winner. The goal is not to seek bragging rights for the morning after the election to boast to your colleagues around the water cooler that you chose the winning candidate. What does it benefit anyone to choose the winning candidate if you passed over the better candidate because you thought the odds were too long. Despite the media portrayal to the contrary, an election is not a horse race. And all of you Facebook supporters of Glen Urquhart who have been complaining that you have lost respect for the Libertarian Party and for Brent because he won't do the "right thing" and drop out in favor of Glen, know this. We are not Republicans. We are Libertarians. We have a different vision for America than you do. We will not bow to your will simply because you believe you are entitled to something special from the electorate. Are you not satisfied to have more registered voters, more influence, more money, more incumbent politicians, more party organization, more lawyers, more name recognition, and a longer political history? You apparently feel that Libertarians also owe you some sort of duty to step out of the way when the going gets tough for one of your candidates. Well thanks for the opportunity to serve, but no thanks. We won't be laying our coat over the puddle for your candidate to step over. Not in this election; not in any election. You want a clearer response? 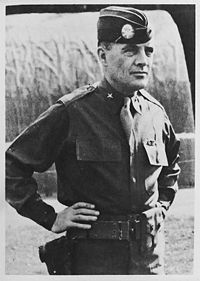 How about the one General McAuliffe gave the Germans in 1944 during the Battle of the Bulge. NUTS!